Spread over a 60-mile long stretch along the coastline from the southern end of North Carolina down to Winyah Bay, Georgetown. Myrtle Beach is one of the most popular beaches located on the Grand Stand. Boasting a temperate climate, a burgeoning economy, and many recreational and cultural opportunities, Myrtle Beach is regarded as one of the top vacation spots in America, attracting around 13.5 million tourists each year. With the average temperature being around 87 degrees in the summer, and the average winter temperature at about 59 degrees, Myrtle Beach is particularly sought for its golfing and beaching. It has more than 100 golf courses, which have been designed for all levels of players by some of the best designers. Investing in a Myrtle Beach South Carolina real estate will be one the best decisions you make. By investing in real estate here, you can have a great vacation spot each year, along with the prospective of earning an income by renting it out during the rest of the year. Many people opt to purchase condominiums when they invest in Myrtle Beach, South Carolina real estate, as they are easy to maintain and are usually located on the golf course or beach. However homes in Myrtle Beach are rising in popularity as more and more people are beginning to retire in Myrtle Beach. Myrtle Beach property offers gorgeous waterway communities in the Myrtle Beach, South Carolina area, offers exactly this type of wondrous living experience. Myrtle Beach promises building lots and land/houses for sale combination packages to home seekers. Many real estate developments also include three distinct amenity centers: a clubhouse, a boat launch, and a storage area. Myrtle Beach Property also features ocean front real estate, featuring luxury ocean front 3 and 4 bedroom condos. 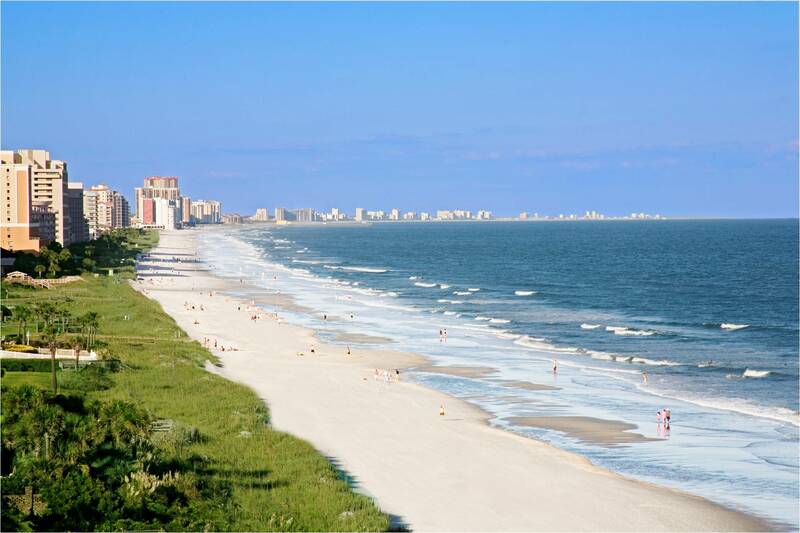 From the Oceanfront Investments you’ll enjoy beautiful views of Myrtle Beache’s property premier attraction; the Atlantic Ocean and white sandy beaches, abound. There are also many beautiful communities situated amongst picturesque lakes of Myrtle Beach. Only a block and a half from the sandy beaches, houses for sale offer brick and stucco homes in a gated community with a swimming pool, an amenity center, a practice putting green, and heated spa. Real estate in Myrtle Beach has something to offer those who desire uncompromising luxury and investment opportunity. It’s more than just the vacation wonderland; the area is simply rich with real estate opportunity.